Christmas ’15 – better late than never! I was finally able to put together what I think are all the holiday smackers, with the help of Markwins, lipsmacker.com, and good old eBay. They never did appear anywhere locally for me so I’m pleased I was able to find them online easily this time around. There are a lot! Like a lot, alot. A lot a lot. They range from classic flavors to returning favorites and some fun new novelties that I think are really well done. Warning: tons of picture spam ahead! Whew! I’m glad to see Butterscotch, Caramel Cider, and Ribbon Candy back. I like this version of Sugar Plum too, as it leans toward floral but stays sweet enough to avoid being overwhelming. Pralines & Cream smells like a mix of the various flavors but there is a minor nutty note that comes through. Overall the name is a bit too ambitious. The marshmallow flavors are as expected, so if you’re a fan of that scent you’ll like these. I always love the shimmers and this year the sparkly set comes in Buttercream Frosting, Sugar Star Cookie, White Choco Cranberry, Gingerbread Girl, and Peppermint Macaroon. White Choco Cranberry is great, and I hope they continue making even more macaroon flavors! The Mistletoe Kisses collection is worth picking up for Blackberry Cream and of course Cranberry Jelly (love all of the Cranberry smackers recently!). This set also includes another Buttercream and Gingerbread. I like the art and think it’s an improvement over last year’s. 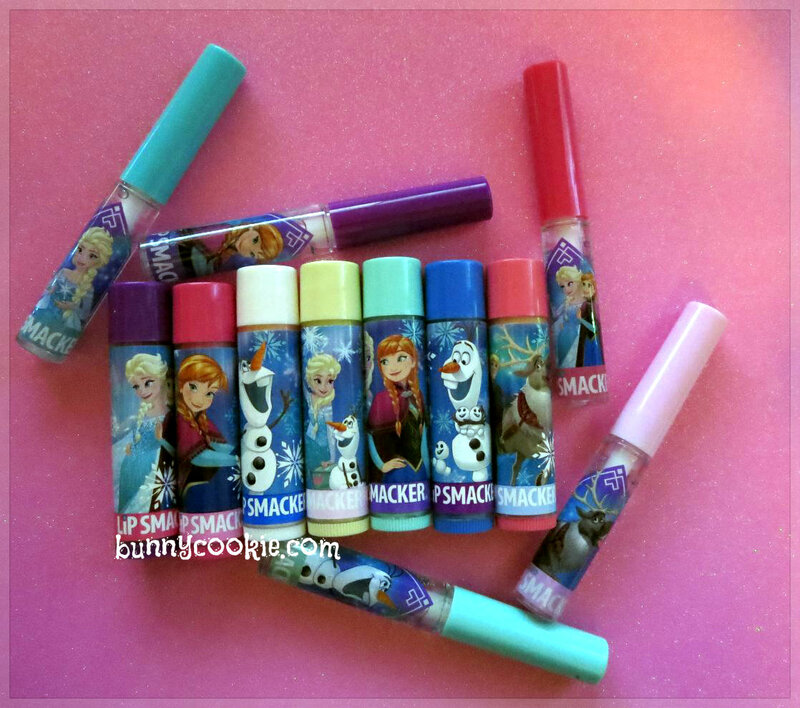 If you have Frozen fever still, you’ll be happy to see the new party pack and liquid glosses. If you don’t, well, you are missing out! I really think this pack has some of the best flavors. Balms: Mint to Be Together, Strawberry Glow, Frozen Banana Pop, Vanilla Snowcone, Plum Berry Tart, Orange Creme Delight, and Blueberry Icy Pop. Liquids: White Sugar Sprinkle, Raspberry Sorbet, Snowflake Sugar Cookie, Apple Pie A-La Mode, and Cool Strawberry Glaze. Banana of any kind is always done right and this version is a good one. Plum Berry Tart is a delicious mix of Sugar Plum and Blackberry. The orange is the yummy, creamy orange dreamsicle flavor, and it’s crazy delicious as usual. Their recent blueberry formula is as close to the original as we’ve seen yet so it’s a welcome sight in this pack. Really there’s not a bad flavor in the bunch and the scents are a refreshing change from the heavier holiday flavors. The Nice collection features N’ice Cream, Sweet Whip Cream, Angel Food Cake, and Goody Goody Gum Drop. The colors and art are lovely and they really feel classic too, similar to some of the releases in the early-mid 2000s. The Naughty set has Devil’s Food Cake (love it! ), Naughty Toffee, Decadent Dirt Pudding, and Sour Apple Pie. My favorite of the bunch is Decadent Dirt Pudding which is a perfect balance of fruity fudge. This collection really is awesome and I love the contrasting/matching sets they’ve been doing lately. I hope we see this much creativity next Halloween! I’ve never seen this Frozen set before. I don’t really like the art, but the scents sound awesome! 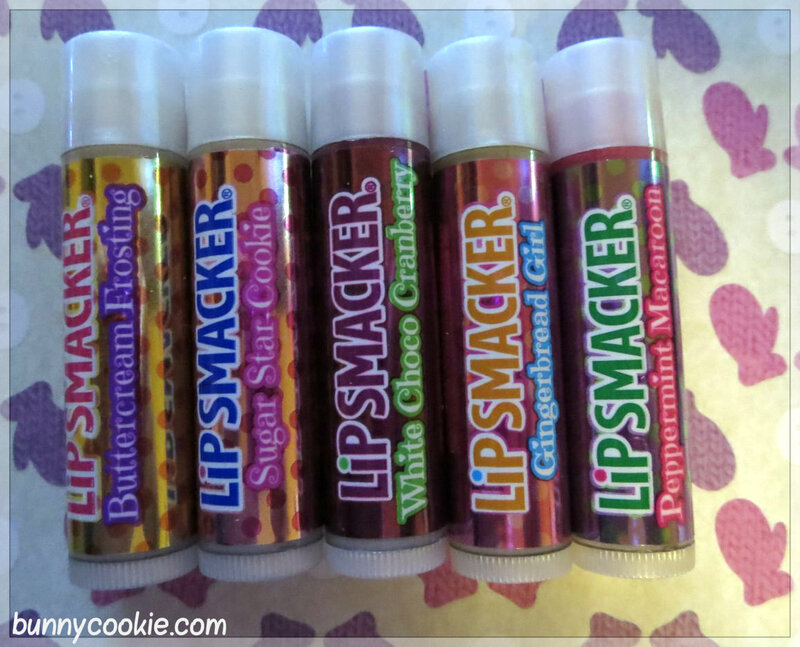 I managed to get almost all of the original holiday 2015 Lip Smackers except for marshmallow pop. I absolutely love the shimmers though. White choco cranberry is the best! The Naughty and Nice collections weren’t ever sold in my local stores, so I didn’t get them. Lucky! I really wanted the Naughty and Nice sets, but I couldn’t find them anywhere. 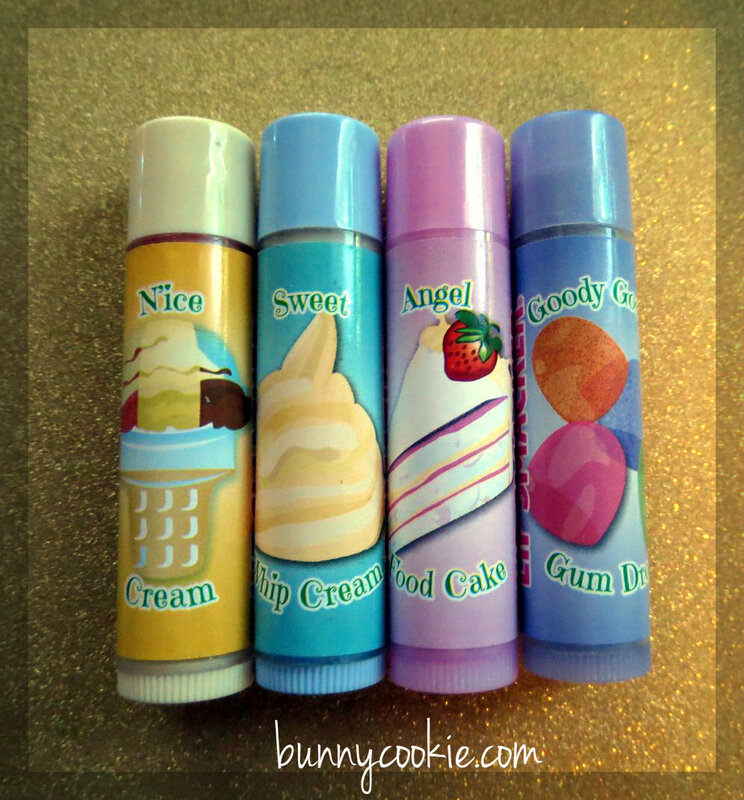 I think I actually saw that Frozen balm set but overlooked it thinking it was the same flavors as before. Now I wish I would’ve taken a closer look at it. However, I did get the Mistletoe Kisses set and a few of the single Lip Smackers; Marshmallow Pop, Marshmallow Crisp, Creamy Peppermint, Pralines & Cream, White Choco Cranberry and Peppermint Macaroon. And at least I like all of them :). Also, I saw Lip Smackers at 2 different CVS stores this week for the first time in at least 3-5 years. So it looks like Markwins is actually making progress in making Lip Smackers more available. Cvs is carrying Lipsmackers?? Ooo i must check. I recently found out that the Dollar General has been selling a couple sets. 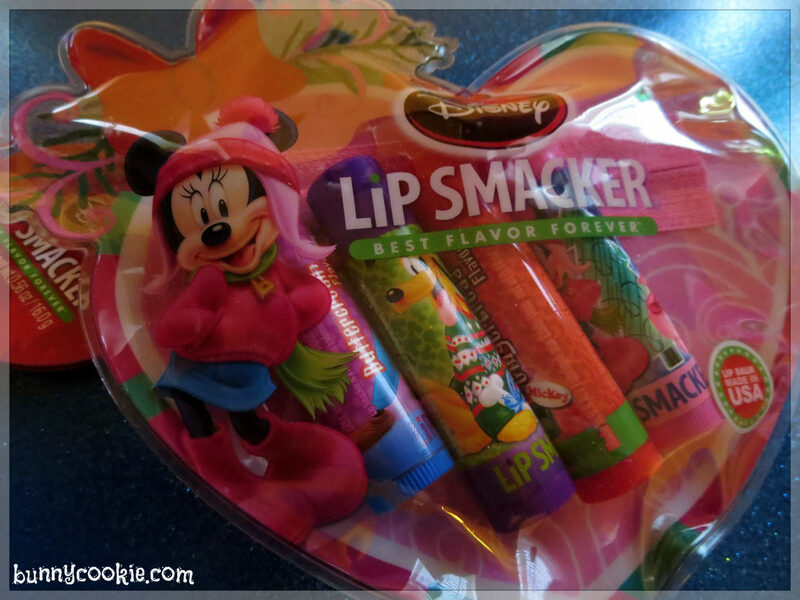 They’re selling some Disney Lip Smacker duos for $3 and those random party packs with 7 Lip Smackers for $5. The latter has random flavors from many different collections, but I still got them because I love getting backups. I don’t understand why they gave them a theme when the Lip Smackers in them don’t quite match. Last time I checked, watermelon is neither a candy nor a dessert! But anyways, I’m glad I got them. I don’t mind having a few extra flavors. Yea I saw those too Renee. Ok, everyone listen up, I have bad news for everyone. I followed A’s advice and e-mailed Bill George and the Lip Smacker’s customer service e-mail (separately) on December 4th, 2015 to discuss about the Lip Smackers Beauty Advisory Team and said that I and everyone else from Bunnycookie would be thrilled to particiate in it. Also, I added why we haven’t seen Oatmeal Cookie and the Comfort Foods Trio either online or in stores. One week later, on December 11th, 2015, I didn’t recieve a response. So, I sent them two more e-mails (one to Bill George and the other to Lip Smacker’s customer service e-mail. Both e-mails separate). Less than a week later, on December 15, 2015 at 6:08 P.M. , I was fed up with not recieving a reply. This time in the subject box I wrote down Oatmeal Cookie. I sent it out to Bill George and Lip Smackers customer service e-mail. Well, this is what happened. I finally got a reply, but not the reply with any answers at all. Bill George FOWARDED my e-mail the following day on December 16, 2015 at 3:23 P.M. to his executive assistant, Josette Pluma. He didn’t reply AT ALL. I don’t even know if he even read it. I got an e-mail from Josette at December 16, 2015 at 6:27 P.M. just stating this and nothing else. She didn’t even answer anything from my e-mail! My name is Josette Pluma, I’m Bill George Executive Assistant and I will be your new point of contact. I’m excited about collaborating with you. Unfortunately, I will be on vacation from December 17th-29th. I look forward to picking up dialogue upon my return. Please have a safe and Happy Holiday Season. I’m sure she had enough time to answer my question. She couldn’t even give me a yes or no answer to my question! Well, on December 20th, 2015, I sent out an e-mail to her e-mail address. The following day, I received a comfirmation e-mail (it was writen by her, but it was an automated reply just stating that she’ll be on vacation and won’t have any way to contact anyone). So, with this knowledge, I knew it got SENT and RECIEVED. My question is, what happened to the other two e-mails I sent to Bill George and the other three to the Lip Smackers customer service e-mail address? 5 e-mails just don’t get “lost” if you know what I mean. From January 4, 2016 to February 5, 2016, I haven’t recieved a reply. And did I mention its February? It’s freaking February people! Check out Glassdoor on Markwins company reviews from employees. The only thing the company seems to care about is money and nothing else. I guess that e-mail I got and posted here is absolutely PR. It’s been 25 days (I’m counting Monday-Friday, not the weekend. I don’t know if they work weekends) since January 4 and I haven’t heard anything. It’s been 30 days since December 4 and I haven’t heard anything at all. Frankly, I’m not waiting anymore for their reply. Waiting for them to reply is like waiting for rain to fall in a desert. If they read this and send me a PR e-mail, I’m not going to listen to their phsychologial mumbo jumbo no matter if they promise the moon, stars, and the world up above. A and everyone else who wants to send out an e-mail for Lip Smacker Beauty Advisory team and why we haven’t gotten Oatmeal Cookie and the Comfort Foods Trio, if you want to try to get through to them because I can’t here’s Bill George’s and Josette Pluma’s e-mail addresses (just take out the spaces because if I put it all together, Bunnycookie has to approve of the comment probably to make sure it’s not spam or something like that because it turns into a link). Also, in the e-mail it seems like I got an office phone number below the sincerly with Josette’s name: It looked like this: Josette Pluma | Executive Assistant | to Bill George| President & COO| Markwins Beauty |O: 626.385.5099 Direct. I refuse to call after all this ignoring, but anyone can give it a try. The number is above. I assume the O stands for office number. Good luck to all of you if you get a reply because I can’t. I’ve been waiting since early December! I’m really sorry this has happened to you, Stef. Unfortunately, I doubt if they’ll reply to me if they’re not replying to you. I’m not surprised they did this to you. By the way, DON’T get the Dr. Pepper flavors. Almost ALL of them have been changed and are horrible (especially Dr. Pepper). They changed the formula for Dr. Pepper again, and it’s even WORSE than before! Plus the tubes are cheap and the caps don’t stay on as well as they should. Is it just me or does the “Sour Orange” smell and taste like the Orange Juice? Not that i care because i LOVE Orange Juice. I finally found it and bought it at Target. I think it’s just the same flavor repackaged. While I like orange juice, I wanted sour orange to be sour! The only sour Lip Smacker now that’s actually sour is sour grapes. I don’t remember having the sugar cookie icing flavor, but I do have bunny cake. It’s a light vanilla cake scent and came out in 2015. Okay, I looked up sugar cookie icing. It appears to be from the 2010 Easter collection. That year, I only bought a duo of that collection that had a Biggy Lip Smacker in marshmallow chick and a regular sized Lip Smacker in some strawberry flavor that I don’t remember the name. I wonder what the Sugar Cookie Icing is like? So lipsmackers are now ruined by the markwins takeover?! Saw the name of your blog had to come take a peek not that I am an animal vouyer or anything.You must be related to my wife. I need to stop and get some milk. An hour later we’re pulling a load home to stack and put away.I shouldn’t complain, I end up eating more than my fair share. I assume it’ll smell good, Maria, since it’s from an older collection. I would give sugar cookie icing a try. 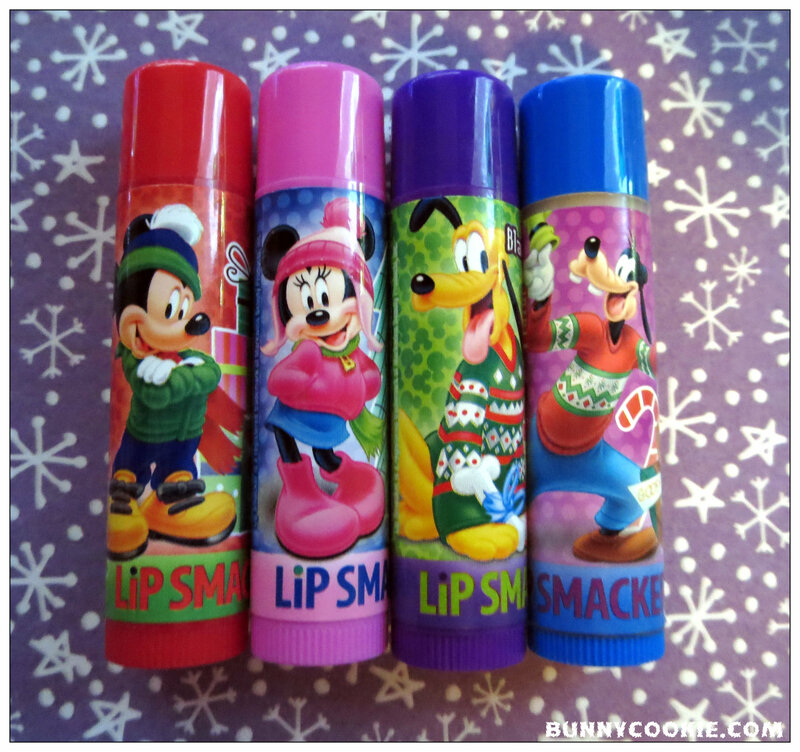 I’ve been looking at Lip Smacker Instagram photos, and I’ve noticed that people have been finding this new Minnie Mouse collection in a tin or in a trio. It’s different than the past ones packaging-wise and I’m not sure what the flavors are. Also, I saw a couple posts about someone finding sriracha, horchata, and the trio version of the tropical flavors at Kroger. If any of you have that grocery store in your area, perhaps you should check out the makeup section. I know the last time I went to Kroger there were Lip Smackers that were marked down (I got another Skittles Tropical Lip Smacker trio for $1.99! Strawberry starfruit, banana berry, and mango tangelo are some of my favorite from the Skittles collection.). I finally saw the Minnie Mouse set on Ebay. It’s called Dots Forever. The flavors are; Cotton Candy Heaven, Raspberry Love, Sunday Funday, Milk Shake Maven, Candy Dots and Sweet Hearts. It’s looks pretty cute. I ordered Srircha, Horchata, Grapefruit, Breezy Tea-sy, Tiki Tangerine and 4 of the Smoothie Chillers. (Honeydew Kiwi, Oh Mai Acai, Pomegranate Zing ans Jamaican me Berry) I will let everyone know how they are. I found a photo on Instagram where someone found some of this year’s Easter Lip Smackers! The eggs look different and the flavors are different too. The flavors are of the following: Nutty Brittle, Yummy Mint-Hop, Caramel Apple Hunt, Lemon Tart Surprise, Bunny Mint Delight, Choco-Coco Whip. I assume there’s a third egg with other flavors, but I don’t know what they are. I saw some new Easter flavors at Walgreens yesterday and one of the flavors was Dynamic Duo. Lol, what the heck is a Dynamic Duo supposed to smell like? Some of the other flavors were something truffle and slushy lemonade. And a couple other nondescript flavors. I should’ve bought it, but I’m waiting to see what the ones that usually come out at Target are. Lol, who knows? I hope they don’t give weird flavor names like that from now on. I’ve seen a photo of the new Easter Lip Smackers. The caps match the egg it’s in. Wonder where they found em? Im not sure anything can top “Bubblegum Frosting” for me. I have been wondering about “Chocolate Buttercream”?? I dont have that one but i love all the Buttercream flavors. If you love buttercream, then please get chocolate buttercream. It’s from the 2013 Easter collection. Im highly considering it Renee, its jus I havent found it for a decent price. I may just order some more from the site…I ordered “Beezy Tea-zy”, Tiki Tangerine”, “Grapefruit Delight”, Honeydew Kiwi”, Pomegranate Zing”, Oh Mai Acai”, Jamacian Me Berry Crazy”, Horchata” and Sriracha”…. Let us know what you think of them! I have yet to find the Tropical and Smoothie Chillerz party packs. I asked on Lip Smacker’s email about if they’re going to be sold at Target and I was told no. It’s one of the only stores that always sells Lip Smackers in my area. 🙁 I’ve been told they’re found at grocery stores, so hopefully I can find them at Kroger. I really hope Breezy Tea-Zy smells like iced tea. I’ll have to buy 10 of them if it does 🙂 Today I found Mango Mix at Kmart. I think it’s supposed to be Mango and Vanilla. I really like it! They also had a spot for Jamaican Me Berry Crazy, but it was sold out 🙁 Hopefully I can find more of the tropical and Chillerz flavors, otherwise I guess I’ll just cave and place an online order. Omg id LOVEEEE it if it smelled liked iced tea…According to the order, I should be recieving mine today, I will let everyone know. I was pleased with the Christmas collection (I got the Frozen ones for my daughter so I swipe them a couple times to use ). I got a messed up Ribbon Candy and they sent me a brand new correct one with in 10 days. I emailed their facebook page about the comfort food and the oatmeal cookie, they said that it’s being re-released at some point. Any one here by any chance know if they ever released the special alone 1990s favorite yet? I’ve never seen or heard about it yet. (The 70s had mint chocolate and the 80s had sour orange) Lots of other people are up in arms about these too. Supposedly it’s lunar lime, but it’s never been released. There was only one photo on Facebook that showed the flavors in the 90’s trio and the one I just mentioned. Trust me, we’re not happy about the Comfort Foods trio not being released. I oubt it’s been released AT ALL. Usually if there’s a new release of a Lip Smacker set, you’ll find at least something online about someone owning it or selling it. Ebay and Instagram are good places to look for that kind of stuff. That’s how I learn about new sets that aren’t mentioned on Facebook. Easter Flavors are also my favorite. Ima have to go to Walgreens. Well i recieved my order today and im sad to inform that “Breezy Tea-zy” is definitely not an iced tea flavor. Actually im pretty sure its the. Frozen Lemonade, or the “Joy” from the Inside Out Collection…*sigh* Altho…Horchata is great, Siracha is a bit weird but its def spot on, the Tiki Tangerine is Wonderful! ” Almost took me back to the 90s!, The Grapefruit Delight is good, wish it was a bit more potent smelling though, ALL the “Chillers” were good…Pomegrante Zing, Honeydew Kiwi, Oh Mai Acai, and Jamaican me Berry Crazy….overall i was very pleased with all of these. Much better quality than the Christmas ones. Really?! What’s your batch number on the bottom of your Breezy Tea-zy? Mine is K51. I definitely smell the iced tea part and the lemon part, which you’re right is the same lemon they use for Frozen Lemonade, Berry Happy, Icy Pop, etc. which I personally am not a fan on. I do get enough of the tea where I can tolerate that type of lemon flavor (my favorite lemon Smackers are Pink Lemonade, Lemon Drop and Lemon Square, the new Lemon Tart Surprise for Easter is just like the delicious Lemon Square flavor.) I do love the Grapefruit and Tangerine! I love the Sriracha; it is very accurate, odd but fun and is on point. I was REALLY disappointed with Horchata REEEALLLY. Smells really light first off, and lightly sweet, which I assume is the milk part. I get no cinnamon. I don’t know why they are SO TERRIBLE with cinnamon formulas nowadays, but in the 90’s Bonne Bell did them so well; Cinnamon Sugar Lip Smacker, Cinnamon Stick Lip Sparkler, Cinnamon Crystal Flip Shades, Lip Lix Cinna-Money, and I’m pretty sure there were a few others in the Lip Gear lipstick line. They were ALL amazing! I guess the saying goes ‘They don’t make ’em like they use to’ is all too true with their cinnamon flavors from 2014 until now. STEP IT UP MARKWINS! I will have to check the batch number. My daughter says she smelled the tea too but if its there its def overpowered by the lemon. And i have farrrr too many lemons. Ooo I remember Cinnamon Stick Lip Sparkler! LOVED that. I dont mind the faintness of Horchata, i feel its yummy and much different from “Outrageous Cinnamon” which was like Cinnamon Bears. Yep same batch number…K51. Maybe im jus so used to the lemon I cant smell tea? Either way it should be wayyyy more tea than Lemon. “Lemon Square” reminds me of “Lucious Lemon” from the 90s. I have several. I wish they would make a “Lychee” Lipsmacker. I LOVEEEEE Lychee! Ive already submitted it. Hopefully one day. And “A”….Did u have to use the “Breezy Tea-Zy” before u smelled the tea? I haven’t been able to find the new Frozen set, the Tropical party pack, and the Smoothie Chillerz party pack. Ok so I gotta say that “Breezy Tea-zy” does in fact have Tea in it. Not sure why i didnt notice at first. Upon figuring this out ive ordered 3 more along with 2 more Chillers, Cookie Dough, another Chocolate Dipped Banana and Cherry Snow Cone, Candy Sprinkles and Pineapple Fanta. If anyone is selling or trading “Banana” Please let me know as the site has been out of stock awhile. I have some great news! I found all three of the Easter egg Lip Smackers, two Easter trio canes, and a tin set of the new Frozen collection at Target! Out of all of them, I recommend the Frozen set the most. If any of you have been dying for a good blueberry flavor, a strawberry flavor reminiscent of strawberry kiwi, a nice mint flavor, and a flavor that makes your lips unexpectedly tingly, then get it! I was actually surprised with the Easter collection. Plumberry melody, chick-a-dee cream puff, sugared marshmallow treat, and bunny mint delight are all SHIMMERY. While the color of the balm is the same as some of the previous flavors, only bunny mint delight (peppermint/candy cane flavor from past Christmas collections) and chick-a-dee cream puff (the Belle tea party treats Lip Smacker) smell like something from a previous collection. I also really enjoy the fact that the lemon tart surprise smells more like lemon square or pink lemonade rather than frozen lemonade. Im not a huge fan of the Shimmers so im pretty bummed out the Easter flavors are Shimmers 🙁 I do however think im going to get the frozen ones. Not all of them are shimmers. It’s only a few of them. There’s only 4 flavors that are shimmers and the rest are not. The collections that zero shimmer flavors are the pink egg and the trio cane with the bunny on it. Thanks for letting me know Renee. I found out something really awesome today! You know the Smoothie Club thing on Lip Smacker’s website? You can actually suggest flavors and people vote on them! I just submitted French Toast. Yes, I know I could probably mix Cinnamon Sugar, Buttered Popcorn and Maple Bacon or something like that, but that’s a lot of work. I just want it all in one flavor with a cute pic of French Toast on it. Wow Renee. U JUST found that?? Ive been voting for awhile now. Its a cool feature. I hope they actually make the flavors that have the most votes. Some of them are really good! I love the flavor suggestions, but seriously though, half of the suggestions on there they already make. It’s time for Markwins to invest in R&D with new flavors and not try to keep passing the same formulas off as 5 different flavors by adding slightly different flavors to one. Do we really a Mango Pineapple sponge-on, Milk Chocolate, Kiwi Lemonade? NO. Most are already made or you can mix together yourself. But some of those WE DO NEED… Pistachio Macaron, Walnut Whip, ELEPHANT EAR, PB&J. One of my suggestions was blue raspberry. There used to be a squeezy and liquid, but never a balm. I want them to come out with it in original packaging (blue label and purple balm like the squeezy). I’ve been wanting it for years, but it’s never happened. I agree we definitely dont need no more Lemon, Strawberry, or Cake Flavors etc…I love the “Vernors Ginger Ale” idea! Would loveeee that if it was done right. And obviously im liking the “Bubblegum Ice Cream” and “Bubblegum Cotton Candy”…the idea for “Mac and cheese” and “Chicken noodle” seems quite interesting. Even “Mashed Potatoes”. Sounds promising…id loveeee a “Sweet Tomato”, “Cantalope” or “Lychee” flavored one. Ive submitted all three so only time will tell. I like the Vernors idea myself and you’re right, if it’s done well. Still thinking Vanilla Cream Soda (speaking of soda flavors) could of been better, but I still like it. Also, I’m pretty sure Vernors is owned by Dr Pepper so they could easily do it. I love Bubble Gum flavors as well and love when they mix interesting flavors because they always pull it off. I always gravitated towards the interestingly mixed flavors, it all started with Cotton Candy Cake and went on from there. Sugarplum Bubblegum, Sweet Cotton Candy Cane, Strawberry Marshmallow (Roll-on Glitter) Raspberry Peach, but I really REALLY need them to get cinnamon right again!!! I’m also hoping for a Snickerdoodle for holiday this year. I just saw a photo on Instagram of a new Disney Lip Smacker collection! You know the movie Zootopia that’s coming out soon? 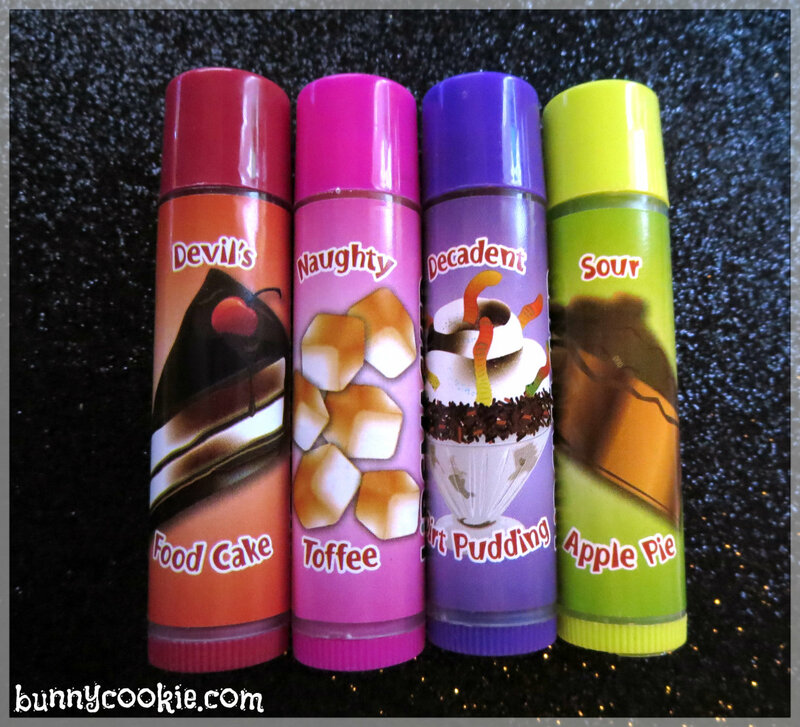 Well, Lip Smacker has released a few flavors for it. The flavors are of the following: mystery cake solved, berry-sly slush, finnick-y funnel cake, mellow yellow pineapple, and berry flashy. Hmmm Funnel Cake? Now that could be yummy! Sugarplum Bubblegum? Ive neer had that! :O when was that released? And i gravitated toward weird flavors as well, starting with Buttered Popcorn in the 90s. Loved that one! I remember that Squeezy Renee! Renee…Which Easter ones are shimmery this year? Ive found the canes but i dont care for Shimmers….what does “Sweet Treat” smell like? How about “Plumberry Melody” ? Or “Creamy Chocolate Bunny”? “GrapeJelly Hop”? Those are the only ones ive found except the Minnie, Frozen and Princesses in lil Egg Bags that Zip…Would rather not get those….How about the Bubblegum one in the Minnie bag? Is it jus like Sweet Bubblegum or Bubblegum Egg? Sweet tweet smells like cotton candy, plumberry melody is shimmery and smells like white choco cranberry (I compared it to each other. I thought they smelled different, but they actually smell the same. ), creamy chocolate bunny smells like chocolate buttercream, and grape jelly hop smells like grape (not like grape jelly). I haven’t found any of the bag sets, so I have no clue what they smell like. The pink egg trio and the cane with a bunny topper doesn’t have any shimmer flavors. It appears i got the wrong one. *Sigh* gunna have to exchange it for the right one. Grape as in old school grape or..? I have never had Chocolate Buttercream so thats def the trio im buying. Thanks for answering Renee. Much Appreciated. Tanya…You should try “Breezy Tea-zy” it does have a tea scent and flavor. Not sure how I missed it the first time. It’s funny you mentioned that. Yesterday I was ready to place the order and then I saw Breezy Tea-zy was out of stock 🙁 I guess maybe I’ll just wait a bit longer to place the order since I also kind of wanted Sunset Peach and that was out of stock too. Renee is spot on with the descriptions of all those Easter flavors too. And if anyone was wondering, I got the Easter Frozen 4 piece set and Icy Truffle Treat is like Thin Mints, Frozen Lemonade Slushy is obviously Frozen Lemonade, Delectable Dynamic Duo is kind of like Vanilla Mint, but with maybe a hint of chocolate too? And Rambunctious Raspberry is exactly like what I thought Sour Raspberries was going to smell like. When I placed my order last weekend they were out of stock of Banana, and now “Banana” is in stock…*Sigh* Maybe they will get those two back in stock soon too, Tanya? I gotta go and get the Easter Cane with the bunny on top today before they sell out. Between Target and Walgreens I found and purchased all the new Easter Releases. Love them all so far! OK , i now have Creamy Chocolate Bunny (yum), Grape Jelly Hop (Loveee Grape) and Sweet Treat….Does anyone get a faint smell of cake and Cotton Candy in the Sweet Treat? Emma what does the Bubble Gum flavor in the Easter Minnie Collection smell like? Jus wondering if its a different kinda Bubble Gum than Bubblegum Egg and Sweet BubbleGum. I absolutely LOVED Bubblegum Frosting from last years Minnie collection. Honey Pot is disgusting : P. But at least the Pooh figurine it comes in is cute! To me, Honey Pot smells like a honey blossom. Almost like a light berry with a floral honey smell. Interesting for sure. I was hoping for a sweet honey vanilla with it. I hope the next flavors are unique like the first 4 and not just grape, vanilla, bubble gum. How is everyone liking the easter flavors? Lots of repackaged flavors. same color and shimmer as the holiday ones. They didn’t even skip a beat. I was hoping for a lot more with Nutty Brittle. It’s just like Evie’s Baked Muffin with Horchata. Nothing nutty or brittle whatsoever. Lemon Tart Delight is amazing! Just like Lemon Square. I wasn’t able to get n’ice cream, but I absolutely love sugared marshmallow treat! Was n’ice cream also shimmery? Chick-a-dee cream puff is also shimmery, but I can’t seem to put a finger on what it smells like. It reminded me of tea party treats, but it doesn’t smell the same. Same with vanilla bean, but it still has this creamy note I can’t figure out. Do you know if it smells like another flavor? I LOVE lemon tart delight! It reminds me more of pink lemonade imo, bit I think it’s because my lemon square Lip Smacker is losing its scent for some reason. I also like how the balm of cotton candy fun is blue rather than pink like the original. Also, has anyone notced that caramel apple hunt is more apple than caramel? My other caramel apple Lip Smackers lean more on caramel than apple, so I assume they tweaked the flavor. And whoop-de-doo, they have another butter mint flavor. A, have you been able to find the new Frozen collection? I found a tin of it at Target. I highly recommend you get it. You’ll really like winter berry frost because of its cooling effect. Mint to be together is also a little more minty than other mint flavors that have been coming out lately, but it isn’t incredibly strong. I feel like blueberry ice pop is a little more spot on with the blueberry scent than blues n berry but with a popsicle-type note. If you do get this, please let us know what you think of it. I think you’ll like it more than the Easter collection. I thought Chick-A-Dee Cream Puff smelled a bit like Diamond Icing from back in the day. And I saw at Kmart yesterday a Frozen 8 pack that had 2 other flavors than the tin; Vanilla Snow Cone and Plumberry Tart I think. I’m hoping to see a new quad of originals rotate out with the current cupcake quad (Angel Food Cake, Blackberry Cream, Coconut Flake, White Chocolate) after Easter! I love finding new flavors in Original packaging. How cute would a summer quad be? Rainbow Sherbet, Sour Limes, Waffle Cone, Salt Water Taffy. Still hoping for a carnival quad!!! Elephant Ear (or Churro), Caramel Corn, Candy Apple, Cotton Candy Snow Cone. One can dream!!! I’d love if they did a party pack, Biggy trio, and quad seasonally, every 3 months, in original packaging with new flavors. What does everyone think of “Sweet Treat”? To me it has a hint of cake scent with Cotton Candy…And yea Grape Jelly Hop is def Sour Grapes. My first “Breezy Tea-zy” had no tea scent…the second one i bought is so awesome i bought 3 more. And “A” it was the same batch number as yours so very very weird. That’s so bizarre! Did you get them all on Lipsmacker.com? To me Sweet Tweet smells like original Cotton Candy. Same with Cotton Candy Fun but like Renee, I like how it’s blue. I thought Sweet Tweet did smell a bit cake like after a while too. I never had Cotton Candy Cake, but I’m assuming it smelled a bit like this. I was thinking that too Tanya. I’m still only getting original Cotton Candy from Sweet Tweet. No cake notes have come through. What’s your batch numbers on the bottom? Mine is M51. Either way, Cotton Candy Cake was WAY different than Sweet Tweet. Nothing they’ve done in the last decade is similar (LOVED it THAT much!) It was a different type of cotton candy than the original formula. More similar to the Cotton Candy Clouds Lip Sparkler type cotton candy, if you have that, with an obvious cake flavor. I am hoping Markwins still has access to the recipe/formula somewhere. I do smell the original cotton candy but its much sweeter. I absolutely love it! 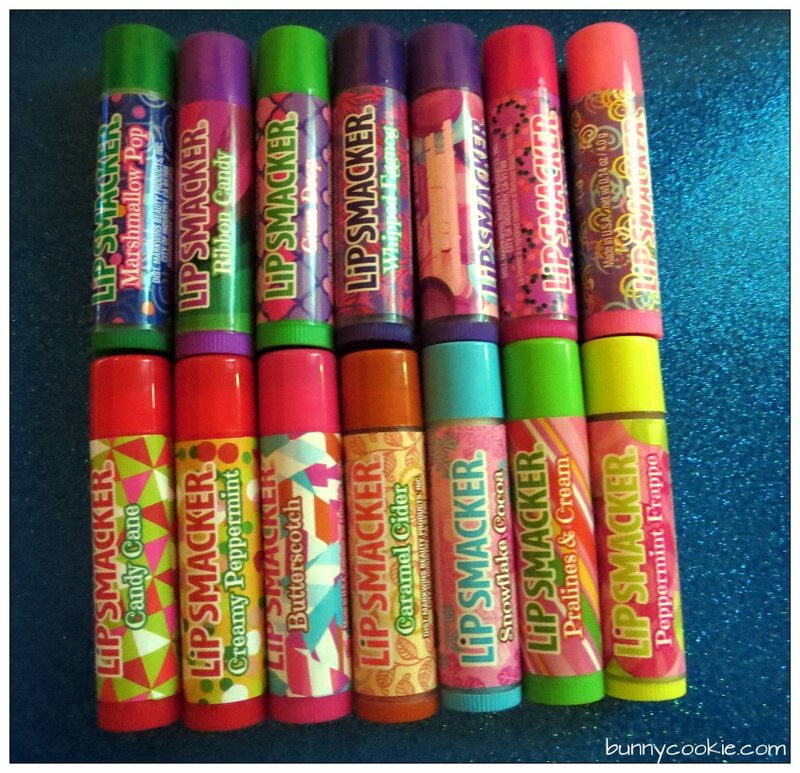 No one was Lipsmacker.com the other was Ebay. Maybe they stored it incorrectly. Sweet Treat seems a bit sweeter than original cotton candy. I really like it! And Creamy Chocolate Bunny is yummy to. Im really wondering about the bubblegum one in the Easter Minnie set this year..If anyone gets it let me kno. Hi Maria! I just saw your question about this year’s bubblegum egg. I will get it out along with last year’s and compare them and let you know. No Emma 🙂 The Bubblegum in the Minnie Easter Collecion for this year. I was wondering what it was like….If anyone has it let me kno. Oh oops! You’re right, it was Bubblegum Egg last year. This year’s Minnie Easter Flavor is called Yummy Bubble Kisses. I compared them both side to side and as far as I can tell they are the exact same scent, same color but the flavor from last year’s Bubblegum Egg seems a bit sweeter. Hope that helps! Oh! I got my order from Lipsmacker today, both chillers are great! I like the Chiller Mango wayyyy better than Original Mango. Candy Sprinkles smells like Confetti Sprinkles to me? Very happy with Pineapple Fanta, Cookie Dough was a faint scent but i havent used it yet, Passionfruit Island is awesome….thinking about getting “Finicky Funnel Cake and Charming Cheesecake. Anyone have those yet? I just got the Frozen party pack at Kroger, so I finally was able to try vanilla snow cone and plumberry tart. Vanilla snow cone smells vaguely of vanilla with a marshmallow note while plumberry tart doesn’t smell that much different than sugar plum. It smells a little more mild, but I can’t detect any blackberry in mine. I’m sorry Bunny Cookie, but I have to disagree with you on all the flavors in this collection being great. Plumberry tart is one of my least favorite Lip Smackers ever. I been thinking….a Pepperoni Pizza Smacker would be cool right? Not really a Lip Smacker topic- but what happened to Bonne Bell? Their page on facebook hasn’t been updated in 3 months, they rarely ever answer people’s posts, the store has a lot of “Sold Out” marking that have been there since Christmas time and I’ve been helping answer people’s questions so that they aren’t left hanging. Stores stopped carrying their products one Lip Smacker transferred over to Aspire and it seemed like BB just disappeared. It’s sad. I loved their make up and skin care products and just ignoring people seems tacky. Same here. I have the face powder but it’s too glittery for me, I’m 29 (for the 4th time around). I really had hoped they’d do a throw back and bring back the 90s line like the Lip Lix, Bottled Emotions, Nail Gear and Flip Glosses. Omg that would be amazing!!! I would buy all of those, I loved Lip Lix, Bottled Emotions, Nail Gear and Flip Glosses so much. Spearmint and kettle corn. Seriously. It’s good though! On the tag with the cane, it said Peppermint Popcorn. Thought it was a typo but it actually smells like it. Just spearmint rather than peppermint. Creamy peppermint gives me a headache for some reason. Same with candy cane and marshmallow crisp. Hmm Maybe I will get that…What about Marshmallow Crisp and Pralines and Cream? Oh thats not good Renee….Maybe i should reconsider? Bunny Cookie is a Lip Smacker fan site detailing my collection and new releases from Bonne Bell. Get updates in your email!